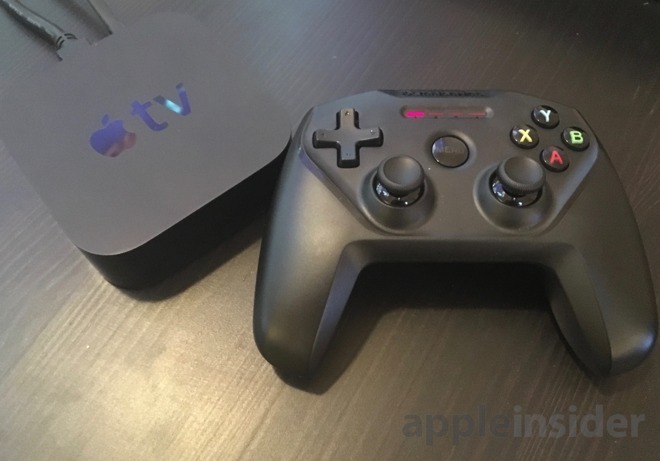 Buried amidst an avalanche of WWDC announcements, Apple on Monday removed a stipulation in its developer resources guidelines that required tvOS games use the fourth-generation Apple TV Siri Remote as a gaming controller. Apple informed developers of the apparent change in a modification to an existing support document covering game controller best practices. In particular, Apple has —again —reconsidered its posture on accessory compatibility as it pertains to tvOS. "When designing a tvOS game, you may require the use of an MFi game controller, but where possible you should also support the Siri Remote," the document reads. While not a complete reversal of previous App Store policies, the rewording is closer in spirit to Apple's initial tvOS app guidelines. When tvOS debuted last year alongside Apple TV, developers were urged —not mandated —to build in controller support for the bundled Siri Remote. Apple later flip flopped, requiring all tvOS games offer support for the new Apple TV remote. The company did not offer an explanation on the sudden change, though it has been speculated that Apple desired a consistent user experience that afforded customer access to all tvOS apps out of the box. With a touchpad, accelerometer and a total of five buttons (six if the volume button is counted as two separate inputs), Siri Remote proves a decent gaming controller for casual titles. The unit, however, is far from ideal for playing fast action games or titles with complex control schemes. In such cases, gamers usually opt for an MFi model styled after traditional console controllers, like AppleInsider's top pick, the SteelSeries Nimbus. Apple's newly revised stance on tvOS game controllers is not final, and the company has indeed proven fickle on this very subject. Barring another flip flop, however, it seems MFi controller sales could be primed for a resurgence this fall.